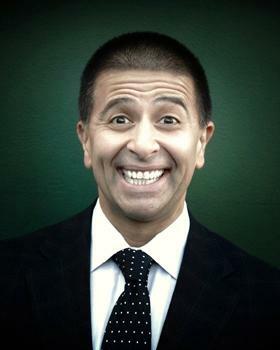 Vince Sorrenti is one of Australia's best known and leading comic entertainers. No comic is more in demand, from after dinner speaking to product launches, sports awards, ceremonies and any manner of corporate fundraising, sporting or public event. Vince performs at over 200 events a year in Australia and overseas. After graduating as an Architect in 1985, he threw full weight behind his real talent and has performed to ecstatic crowds on thousands of stages all over the world. He has hosted TV programs in Australia and the United States, appeared in movies, released comedy albums, performed in festivals, and been a guest on countless talk and variety programs. He has won the Mo Award as Australia.s best comic 3 times already!!!! Vince is also a writer. He has won a Gold medal at the New York Film Festival for his documentary No Laughing Matter in which he also starred (playing all 7 characters!). He has also written hundreds of feature articles for publications including The Bulletin, Sydney Morning Herald, The Weekend, Australian Vacation, The Daily Telegraph and many others. Sorrenti has demonstrated versatility over the years being everything from a sports commentator to a debating captain on a long list of television programs for every network in the country. An ability to adapt to any audience has been the key to his popularity on live stages. He is a near permanent fixture at every major sporting event in Australia from Bledisloe Rugby to Ashes tests. He is in high demand on the stages of charity benefit events, political fundraisers, corporate award and launch events, and parties of all description both as a host and performer. He has entertained everyone from Prime Ministers to PNG Highlanders, Hollywood Celebrities to Trade Unionists, and Cardinals to Wall Street Bankers.